Beeston Regis Holiday Park01263 823614work01263 823944fax Holiday, Touring & Camping ParkA beautiful 4 star Holiday park situated in a cliff top location on the north Norfolk close, perfect for a relaxing holiday by the sea. Beeston Regis Holiday Park offers two children's play areas, steps down onto a superb beach, laundry and a fishing pond. 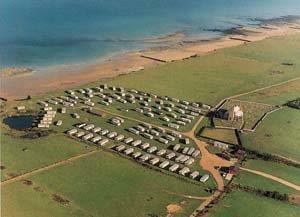 We offer 41 large touring & camping pitches all with electric hook up and the majority offering sea views. We have a good quality toilet & shower block, washing up area and elsan points. We are a dog friendly park allowing dogs in all areas including the beach, as long as they are kept on a lead at all times. A beautiful 4 star Holiday park situated in a cliff top location on the north Norfolk close, perfect for a relaxing holiday by the sea. The park is a short walk to Sheringham, which is full of locally owned business, which is a rarity these days! And a short drive to the seaside town of Cromer, it is also close to the railway and bus stops offering transport to other towns & cities, meaning cars are not an essential part of your holiday. Steps down onto the beach. Children welcome from any age. Located on the main A149 coast road between Sheringham and West Runton.